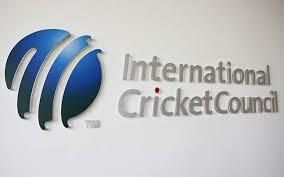 Dubai: The International Cricket Council has turned down the BCCI’s request to sever ties with countries from which “terrorism emanates”, saying the ICC has no role to play in matters like these. “There was no chance that anything like that would have happened. The ICC chairman made it clear that the decision to ostracize a nation is taken at the government level and ICC had no rule. The BCCI knew it all along but still took a chance,” a BCCI official told PTI on conditions of anonymity. The issue came up during Saturday’s ICC board meeting chaired by chairman Shashank Manohar but not much time was spent on it. “So many players from member nations play the Pakistan Super League and they would have never entertained such a request. Yes, security was a concern and it had been duly addressed,” the Board official added. However, the Committee of Administrators (CoA) running Indian cricket has so far not taken any decision on the matter, saying that it will seek the government’s view.